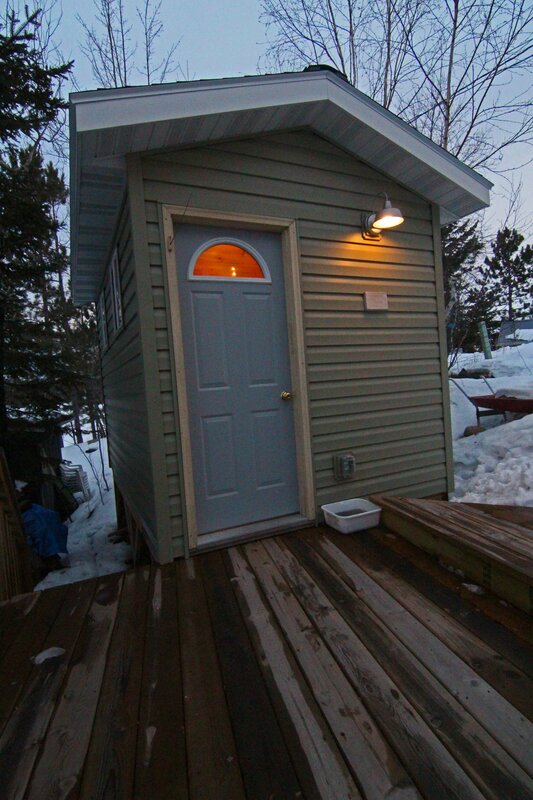 I have attached several photos of our sauna for your new site. Use as you see fit. Our Kuuma stove is simply wonderful. 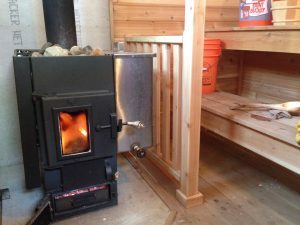 We opted for the small size stove with heat shields, glass window, and water tank. 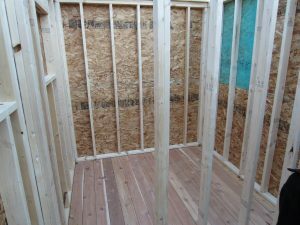 The stove sits in a free standing 8′ X 12′ building with the hot room being roughly 8′ x 7′ and the rest is a change room. We couldn’t be happier with it. Buying a Kuuma stove is an investment that should last a lifetime. Darrell was wonderful to work with and everything he told us about his stove was spot-on. The build quality is superb. We have been using our stove for almost 5 years and it functions perfectly. With some dry kindling and 5 or 6 sticks of wood, our sauna is at 175 degrees within 45 minutes. The damper lever controls the burn rate really well. Once you have the temperature you want, by adjusting the damper you can hold temperature fairly well. Be careful not to over fire the stove with the damper wide open. We had our hot room at 240 degrees last summer and the water in the tank was at a rolling boil. 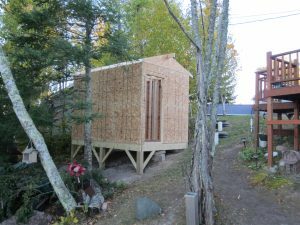 We use our sauna year round. 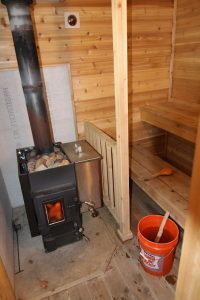 In the winter time, when we have no running water at the cabin, there is nothing quite like heating water in the stainless steel tank for a sauna shower. 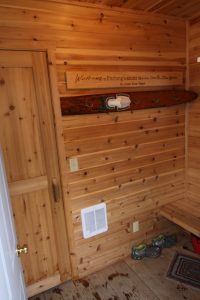 Taking a sauna is a great start or finish to any day spent at the lake.